Some dishes are carefully planned and executed and others just seem to happen by themselves. Yesterday was an example of the latter. 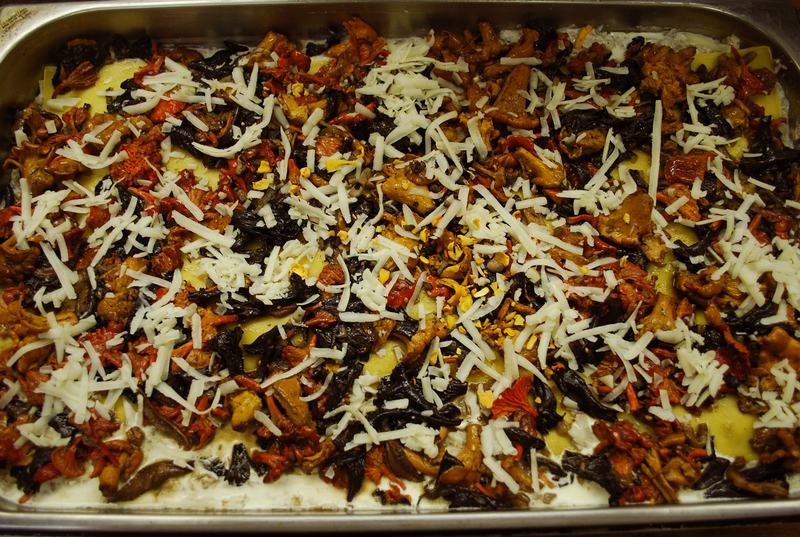 Wild mushroom and black truffle lasagna an accident!! Let me explain. Several days ago a salesman left some pasta samples from Italy, paper thin sheets of egg pasta, absolutely gorgeous!! My first comment was I’d like to do a different type of lasagna with this, not really knowing what that might be. 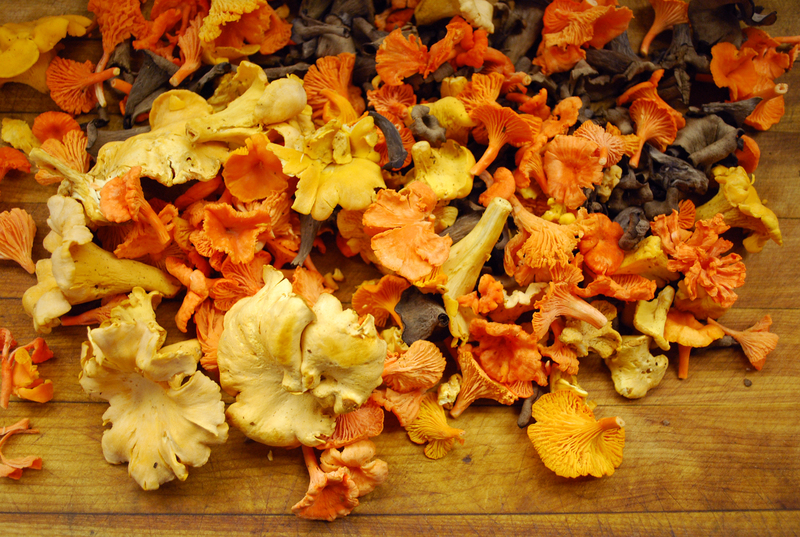 The next day, a local forager came by with beautiful chanterelles, black trumpet mushrooms, some boletes, and one I’ve never heard of, “cinnabar”, a brilliant orange cousin of the golden chanterelle. The wheels were starting to turn…last night after a long Friday preparing for weddings and keeping the storefront filled with food it all came together. A quick canvas of the walk-in turned up the perfect amount of bechamel, nice fresh ricotta, and a small wheel of sublime black truffle cheese. Some fresh thyme, Portobello stems and truffle oil and it was happening. Within minutes onion and chopped mushrooms were sweating on the stove and the ricotta was being whipped with bechamel and grated cheese. A layer of pasta, a layer of mushroom-cheese mix, and so on…and finally a shower of the sautéed mushrooms on top and bam, in the oven! I’ve never put together a lasagna so quickly. There it was and here it is! Just out in the store and going fast!